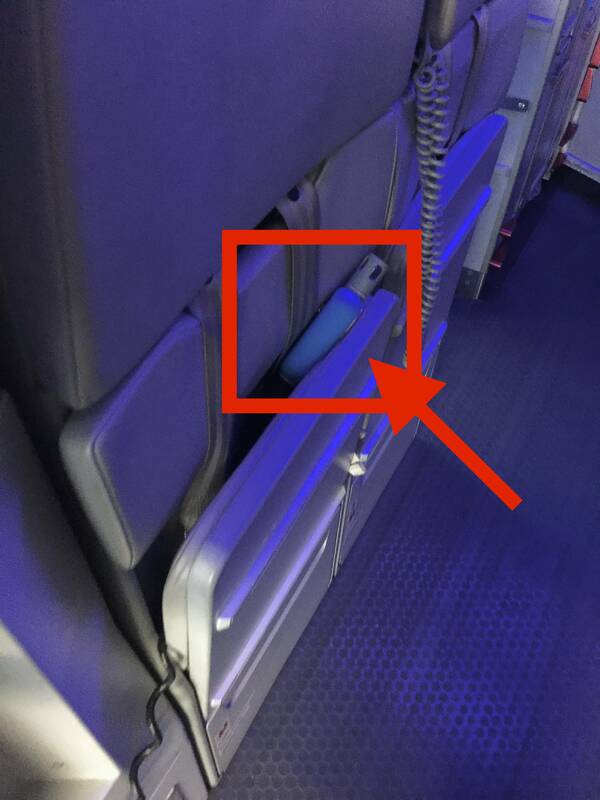 Every time I deplane a Virgin America A320, I notice that they grab something from the jet bridge, and stuff it between the jump seats. I haven't seen any other commercial airlines with things like this. It is a temperature probe for the preconditioned air (PC air) unit. 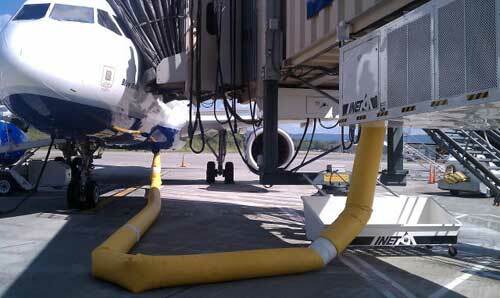 Bleed air is required in order to operate the air conditioning packs on an aircraft*. Thus, either an engine or the auxiliary power unit (APU) must remain running, burning jet fuel. PC air pumps heated or cooled air into the aircraft and allows the pilot to shut down the engines and APU to conserve fuel. A probe (located in the passenger loading bridge) is inserted into the cabin to regulate the air temperature while PC air is hooked up and running. Upon parking, ground crews will typically hook up both ground electrical power and PC air, especially if the aircraft will be parked for any length of time. Since the air hose takes some time to unroll and roll, PC air may not be used if the flight is a "quick turn" and the APU will be left running. * Except for the Boeing 787, which has a no-bleed system. Not the answer you're looking for? Browse other questions tagged commercial-aviation ground-operations feature-identification or ask your own question. What is the purpose of the cabin temperature probe run from the gate? What is this tube connected to a 757 for? Is cabin air freshened when a plane is taxiing or on the ground? How do you compare private jet and commercial jet efficiency? 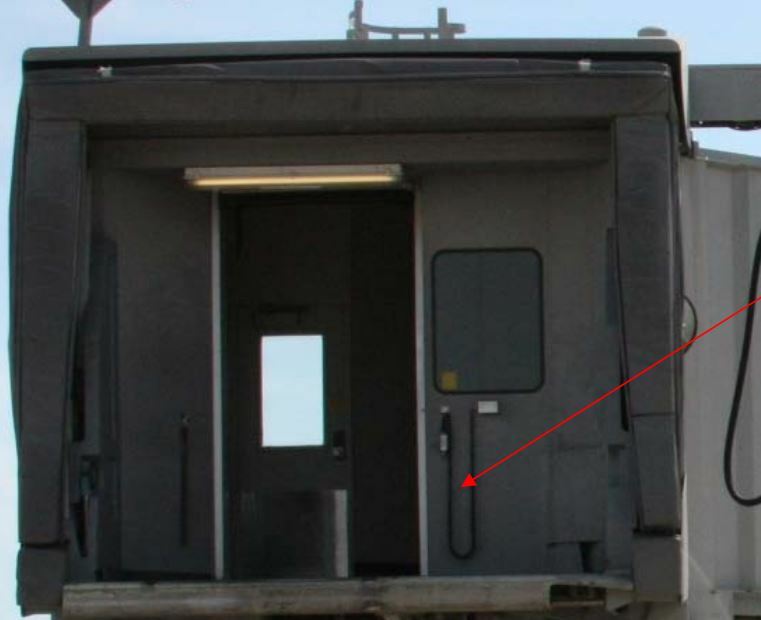 What is the maximum acceptable gap between the jet bridge and airplane door? What is this device on the nose of a Bombardier Global 6000? How much leverage do commerial pilots have on cruise speed? Why don't commercial passenger safety videos ever explain policy instead of dictating it? Does any one know if the PFD or ND or any other screen on an commercial aircraft work like a computer or something else?